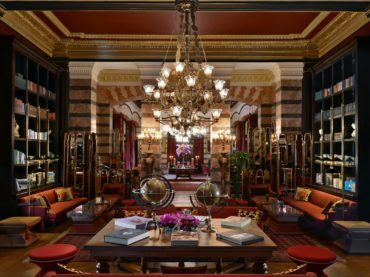 Pera Palace Hotel, which has witnessed history for more than a century in the most beautiful corner of Istanbul, has hosted many notable names from the past to the present. Famous guests of the hotel include many prominent names from Agatha Christie to Ernest Hemingway; from Iranian Shah Rıza Pehlevi to American First Lady Jacquelin Kennedy. However, there is such a name that his place in Turkish people’s hearts is indisputable! Of course, we are talking about Mustafa Kemal Atatürk. Mustafa Kemal Atatürk, one of the greatest leaders of the 20th century, when he signed Pera Palace Hotel memorial book, the year was 1917. He stayed at the hotel several times between 1917-1936. Sometimes he preferred Pera Palace Hotel to take the most critical decisions about the country and sometimes to welcome his important guests. His visits were often in Room 101. Atatürk had again answered to this offer with his quick intelligence. Here is the room number 101, witnessed the precious moments of Atatürk and used it as a home on the returns from the front-line, was converted into a museum room in the 100th anniversary of his birth, to preserve his memory forever. The place, which was turned into a museum room in 1981, was renovated with the sunrise color, dawn pink, which is the favorite color of Mustafa Kemal Atatürk. In addition to his personal belongings, the room also decorated with the precious Atatürk books, magazines, photographs, postcards, and medals, all of which were collected from various auctions.